Brunch is a common thing in our daily lives, especially during weekends. All you want to do is sleep and wake up just on time for a nice brunch with someone. At the same time, we want to save some money as well which means without having to pay big bucks for a decent brunch. 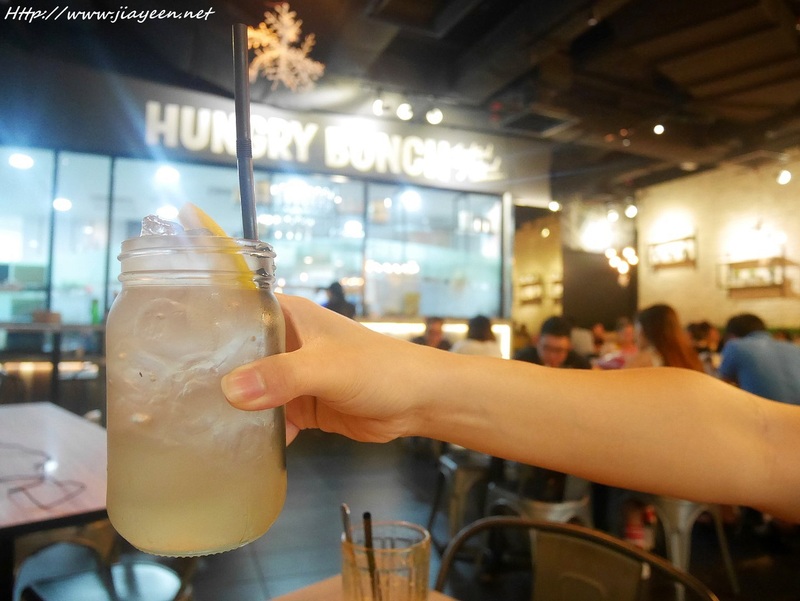 Hungry Brunch, is where you should go for your yummy brunch. I was first welcomed by its interior furnishing. Something I appreciate for my leisure time. In terms of food, the price is really reasonable. 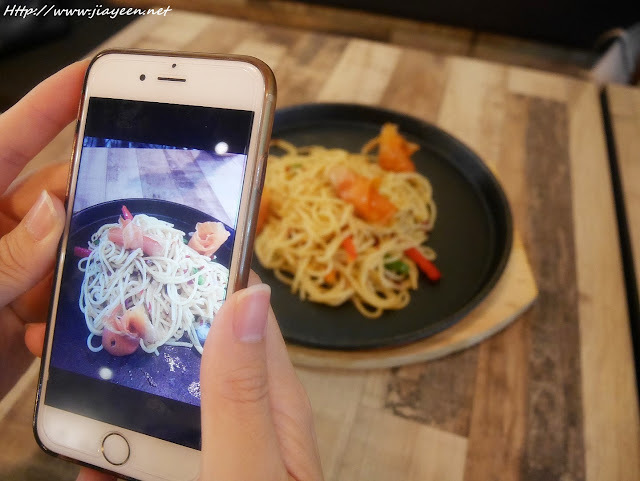 For example, for a decent plate of Aglio Olio costs only RM10!! Isn't it affordable enough for a cafe at Sunway Pyramid? Smoked Salmon with spaghetti, garlic, olive oil with a dash of herbs and chili flakes. 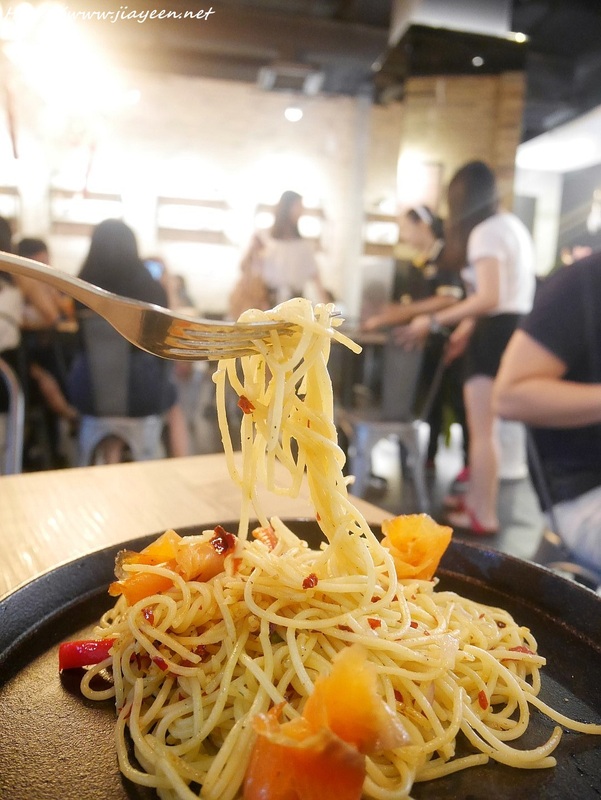 I personally think this is a little too spicy to my liking but I do like how the Smoked Salmon complements the spaghetti ala Aglio Olio style. Chicken grilled to perfection served with mashed potatoes and drizzled with their chef's secret sauce. 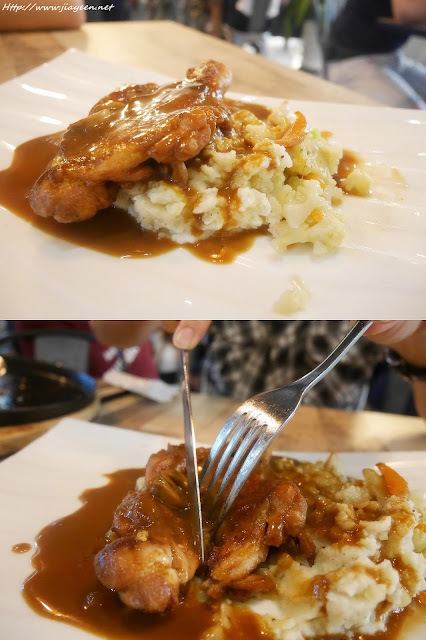 Yummy gravy with tender juicy chicken chop. Mashed potatoes are not too buttery nor creamy, definitely to my liking. Not too sweet nor sour! Big love! Fluffy strawberry pancakes drizzled with fruit preserved strawberries and whipped cream. Everything is perfect except for the ice cream is a little too sweet to my liking. Their pancakes are must-try desserts! 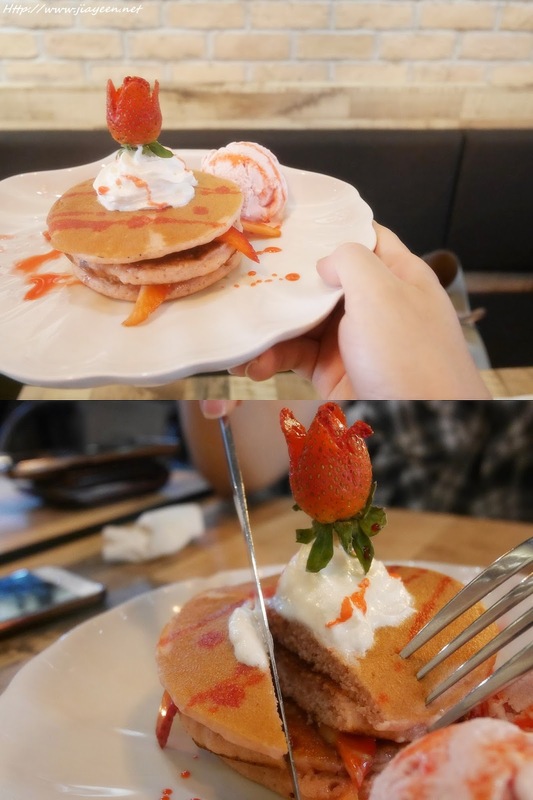 I like the way they serve their pancakes by infusing the fruits into the pancakes. For example, pancakes of Red Berry Rush are infused with strawberry flavour! 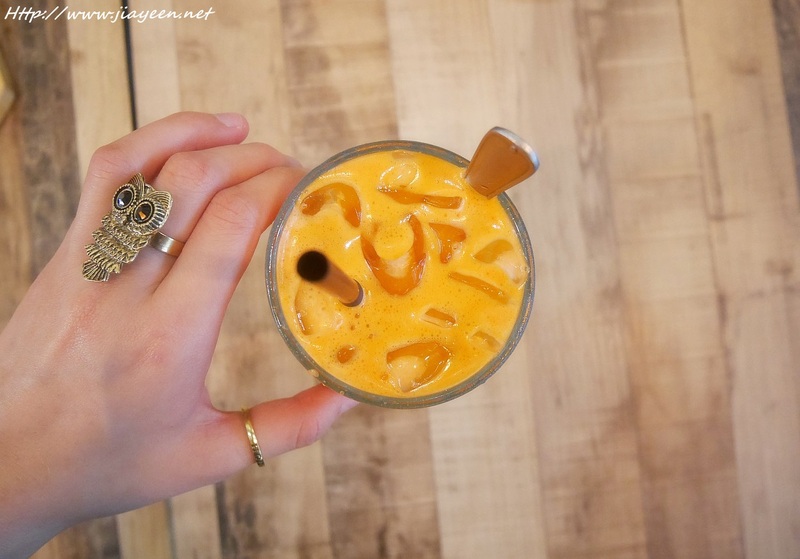 Couldn't find your favourite food on my post? Don't worry! They have a lot of varieties, ranging from All-day breakfast, pastas, Burgers & sandwiches, local delicacies, mains, desserts and drinks. In case you can't find the shop, you may refer to this picture. Good news to all foodies! They even serve weekend set meals! F Floor, Lot F1.75, Sunway Pyramid.